We’ve shown you how to delete all your tweets immediately How to Delete All of Your Tweets Immediately How to Delete All of Your Tweets Immediately Many people often find their old tweets come back to haunt them. To avoid the same fate, you may want to delete your tweets. Read More and how to unfollow everyone on Twitter. How to Wipe Your Twitter Following List in a Click How to Wipe Your Twitter Following List in a Click Deleting your Twitter following list can be a time-consuming process -- unless you use this nifty script that can do it all for you in the blink of an eye. 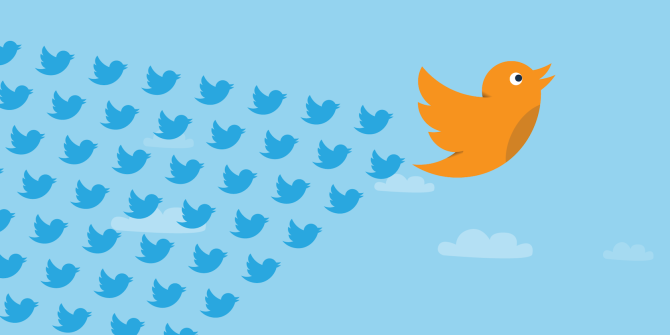 Read More The final step in cleaning up your Twitter account is getting rid of fake followers. If you’re wondering why this is important, it’s because running a successful Twitter account is about engaging with your followers. If you aren’t being retweeted, or if followers aren’t replying to your tweets, you might as well be tweeting into a void. Cleaning up your account gives you a clear idea of what your engagement rates should be and allows you to adjust your social media strategy accordingly. If you want to remove individual followers, you can simply scan your follower list, spot the fake followers, block them one by one. If you have a huge following, this is going to be extremely tedious and time-consuming. ManageFlitter is a popular option for easily removing fake followers. The catch is that it requires a paid account. Upgrading to a pro account for $12 a month allows you to scan your follower list, detect fake accounts, and block them one by one. You could just upgrade for one month and remove all your fake followers, then cancel your account. Many free options exist, but we found that none of them worked as expected. Other scripts either don’t give you the chance to review the list of fake followers and, in some cases, they delete genuine followers. Scanning the list yourself is always preferable than leaving the task up to an automated script. Do you have any tips or tricks for cleaning up or maintaining your Twitter account? Let us know in the comments. Well I have always been like a kid, who wanted everything to be perfect no matter what it takes. When I joined Twitter, I wanted it to look amazing like having some good amount of followers who like and comment on my tweets. I invested a lot of time but still I was not able to gain followers like I wanted so I started searching for an automation tool that can help me with twitter and then I found WizUgo [com] as the most effective one. It can do everything and now I am maintaining a perfect account with ease. Thanks to WizUgo.